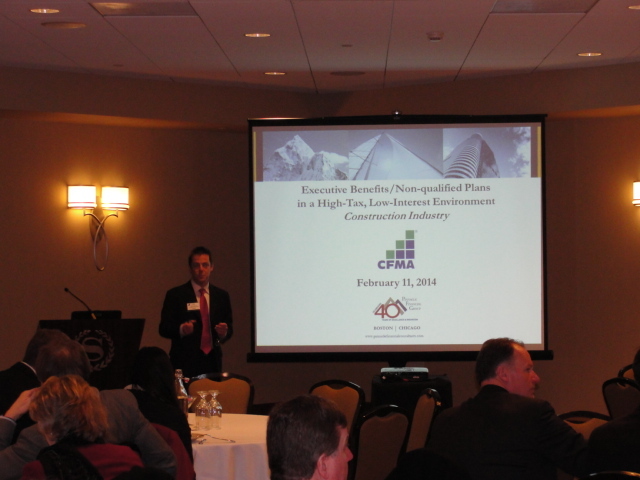 12/4/14 "Construction Outlook and Industry Direction"
On December 4th the Massachusetts Chapter of CFMA co-sponsored a meeting with the AGC of Massachusetts and the Associated Subcontractors of Massachusetts, at the W Hotel in downtown Boston, around the subject of Outlook and Industry Direction in the local market. 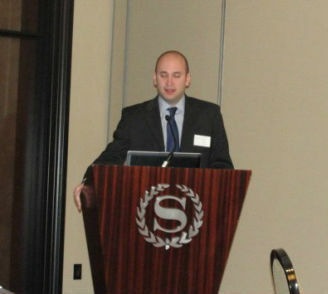 Presenting at this year's program was Doug Poutasse, Executive Vice President and Head of Strategy for Bentall Kennedy. Doug focused his remarks on the outlook for the real estate economy from both a global, national and New England perspective and its sustainability as we move forward in 2015 and beyond. Doug sees the real estate market making strong headway after six years of recession but construction is still struggling in the Boston market relative to some other areas of the country. The three biggest sectors in Boston for creating jobs are Leisure & Hospitality, Professional & Business Services and Health Services. Boston is growing 2% per year whereas areas such as San Francisco are around 15%. Low vacancy rates constrain reported demand growth in some apartment markets. Boston had 1.8% job growth and 1.8% apartment growth last period. What’s holding Boston back is not building enough apartments. The Boston area needs more housing if the real estate market is to continue to grow. Market growth is dependent on education with innovation and entrepreneurship. The demographic outlook is positive for the US. Real estate is fairly valued or undervalued. For investors – this is a great time to be in property. Doug Poutasse is Executive Vice President and Head of Strategy at Bentall Kennedy, with overall responsibility for directing the Canadian and U.S. research teams. He serves on Bentall Kenndy’s Group Management Committee, and U. S. Executive and Investment Committees. A copy of this presentation is available for download in the CFMA of Massachusetts Document Library. 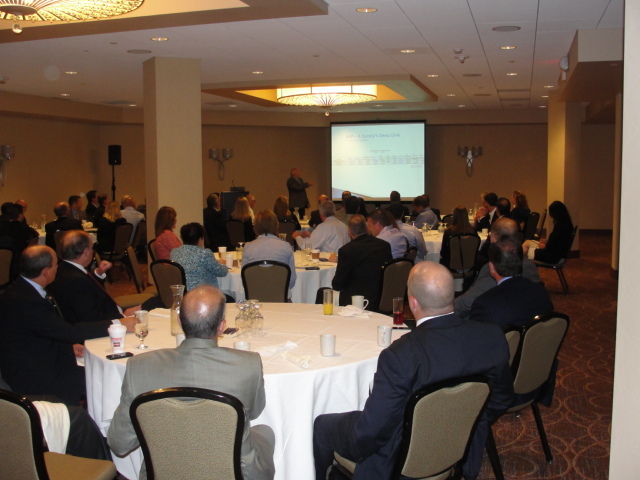 11/11/14 "Leadership: Communicating with Power and Influence"
Respect, Recognition, Inclusion, Contribution, and a Sense of Community were the 5 key motivators that provided the foundation for Dan DeSalvo’s interactive presentation at the November breakfast meeting. Dan developed his leadership skills starting as a construction laborer, then business owner and finally a nationally recognized leader in the development of management leadership skills. By encouraging participation through dialogue, team building exercises, videos and motivational stories, Dan took the assembled group on the road to transitioning from manager to leader by developing a recognition of our innate talents and through continued learning to develop a vision, purpose and direction that will lead to relentless focus and preparation for conquering setbacks. Motivating people, learning to keep focused under pressure and creating inspired teams comes from life - long learning and are the keys to developing the leader within you. Dan’s quest for knowledge grew into a desire to share the lessons he learned through his career with other leaders, managers supervisors, sales professional and team members. Today Dan is the Executive Vice President at Great American Seminars. He has delivered over 3,400 professional development programs in several countries and throughout the United States. Among his clients are Fortune 500 Companies and successful construction firms including Skanska, RH White, Gilbane and others. What is Your, or Your Bosses, construction company worth? And, why does that matter? 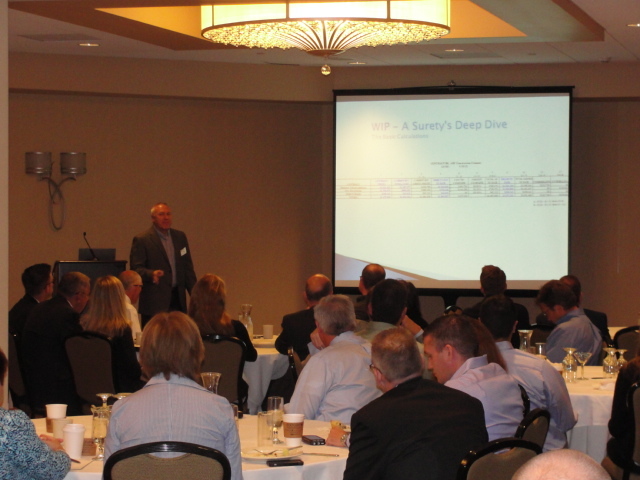 This is the topic that was explored at the October, educational, meeting of the Massachusetts Chapter of the CFMA. 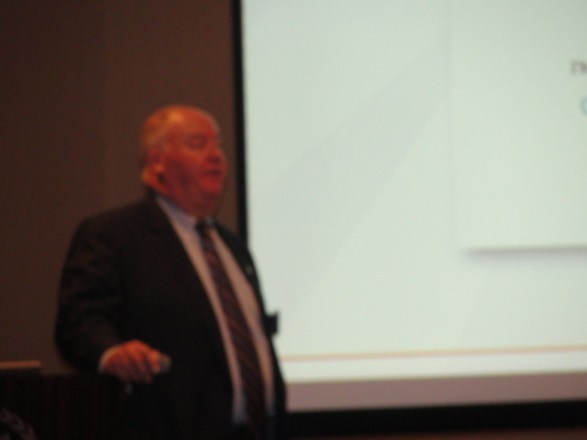 Leading the discussion was Jack Callahan, CPA and partner at CohnReznick. Jack directed the conversation toward why it is important to know your company’s value and what that has to do with the future of the company and our jobs! The challenges faced by today’s contractors make it more important than ever to look at the business in terms of “What is it worth, if” we pass it on to the next generation or to the existing employees; sell the business outright; or liquidate. Jack centered the presentation on the liquidity process; what is it worth to a buyer and the seller, how to properly valuate the business, opportunities to split-off portions of the business, and what is the perceived future of the company. 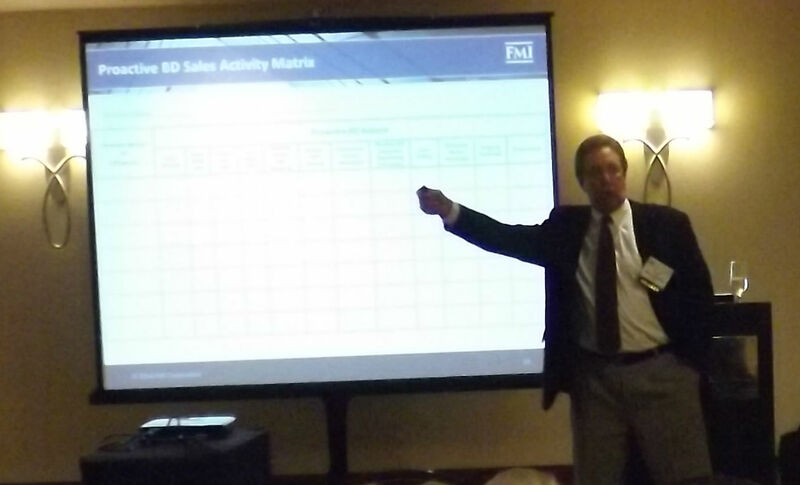 He then went on to highlight selling scenarios and how the sustainable earnings play a key role in valuation. Jack has more than 30 years of experience in developing successful fiscal and integrity monitoring programs that enable contractors to improve the profitability of their operations and, when appropriate, assist them in successfully transferring their businesses. The golf gods sitting on high at St Andrews looked down upon the 96 golfers, smiled, and provided a great, New England, day for the annual CFMA of Massachusetts Scholarship Golf Tourney on September 23rd. Not a cloud in the blue sky, nor a missed putt on the greens, made for a wonderful day at the Sandy Burr Country Club for our members and their guests. Sandy Burr was built just after the turn of the 20th century by the renowned architect Donald Ross and has hosted our tournament for nearly 20 years. This event is the primary funding mechanism for the Chapter’s annual scholarship fund. Last year eight qualifying individuals pursuing college degrees in accounting, construction management, engineering and Architecture were awarded scholarships to help with their college expenses. Sincere appreciation is bestowed upon Aon Construction Services Group who was the primary tournament sponsor as well as to the many firms that supported the event through other sponsorship opportunities. Without our great sponsors we would be unable to continually provide annual financial aid to deserving students and future CFMA members. September 9th opened the CFMA Massachusetts Chapter educational series with a presentation, by David Pesce, Director of Surety for Axis Insurance, on the topic of; “WIP” Work in Process Schedules From a Surety’s Perspective. David began his surety career in 1986 after graduating from Lafayette College with a B.S. in Mathematics. During his career he held underwriting and management positions with Seabord Surety, Reliance Surety, Liberty Mutual, Crum & Foster, AIG and Berkley Surety where he was Vice President of all Contract Surety Lines of business. David is now Director of Surety for Axis Insurance. What do surety underwriters do with the information that we provide on our Worker in Process schedules? Turns out quite a bit and the quality of the information provided determines the effective amount of bonds that our firms can qualify for. The WIP report is not only an essential management tool but is also a critical element when used in combination with the company’s financial statements. These elements allow the surety to assess the overall financial strength of the company to determine bonding capacity. The astute underwriter is looking to make sure that the WIP ties back to the financial statements and uses the data to trend the jobs and cash flows as reported on the WIP over multiple periods. The trends are analyzed to show the long term results of the individual jobs as well as groups of jobs overtime. A good underwriter can create a P&L for the company by working backwards from the WIP, a critical concern when presenting interim financials. David currently holds the CCIFP designation and has given numerous presentations on various surety related issues to contractors, architects, lawyers, bankers and accountants associated with the construction industry. To retrieve copies of David’s presentation and the worksheets that he has introduced to surety providers and bankers visit the chapter website and click on click on resources and library. For more information on upcoming educational breakfasts please visit the Chapter website. The Construction Financial Management Association of Massachusetts would like to congratulate member Michael Donavan, Executive VP/CFO of Cox Engineering, of Canton, Massachusetts for being awarded the CCIFP designation. Michael joins 23 other members of the Massachusetts Chapter who have earned the CCIFP designation from the Institute of Certified Construction Industry Financial Professionals. The CCIFP designation establishes the standards for construction financial professionals by giving special recognition to those who demonstrate skill and proficiency in their field, verified through advanced education, professional experience and rigorous examination. The designation has received accreditation from the American National Standards Institute ( ANSI) and has been endorsed by CFMA, CICPAC, IRMI, NASP, and other well respected construction industry groups. The ICCIFP currently has over 1,000 designees in North America. In addition to serving as Executive Vice President/CFO of Cox Engineering, in Canton ,Massachusetts, Mike also serves on the Board of Directors for the Massachusetts Chapter of the Construction Financial Management Association. At the recent national convention of the Construction Financial Management Association, the Massachusetts Chapter was the recipient of two prestigious awards. Chapter President, Joseph Gates of Methuen Construction was presented with a plaque recognizing Massachusetts as one of only three chapters awarded the CFMA Achievement Award. This award is presented to the chapters that excel in providing the tools and education essential for the success and growth of construction financial professionals. Whether during the nine monthly educational meetings, while interacting with other industry organizations, participating in the community through the annual food drive or awarding scholarships to deserving students seeking to further their education in the industry the Chapter is recognized as a leading advocate and source of information for the issues that impact the construction industry. Massachusetts was also awarded recognition with receipt of the Distinguished Progress Award for its work in developing the programs and events that continues the professional growth of the members and the chapter. The Construction Financial Management Association was founded in 1981, the Massachusetts Chapter in 1988, and today has 89 chapters in the US and Canada serving over 6,600 members. CFMA is the only non- profit organization dedicated to serving the educational needs of today’s construction financial professionals. 05/13/14 Leadership and Scholarship Meeting "Don't Back Down. Don't Stay Down"
What can be learned about leadership from an individual that had a childhood dream, but lacked the basic skills, had run-ins with law as a youth, left college early, made a living using his fists, and fell down the rabbit hole of alcohol and chemical dependence? One heck of a lot! 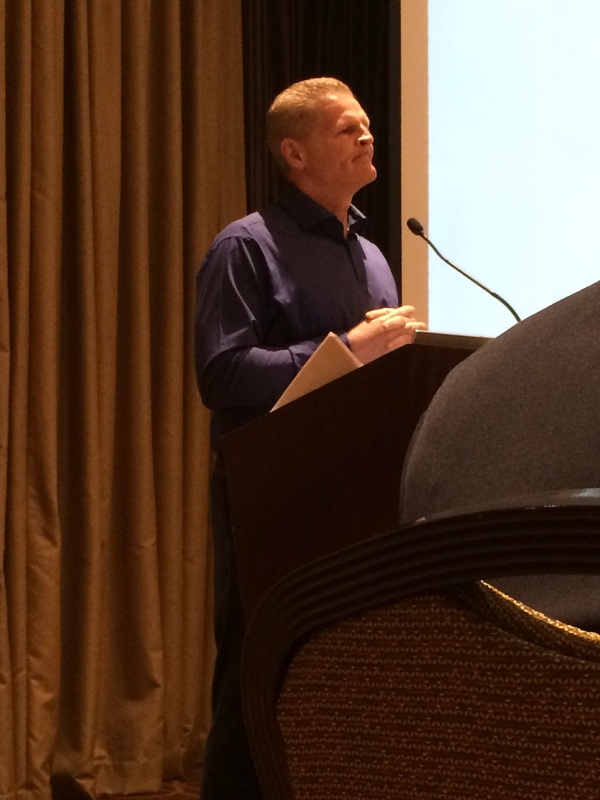 At the annual CFMA of Massachusetts Leadership Breakfast on May 13, 2014, the assembled members and guests became engrossed in the personal story of Chris “Knuckles” Nilan. He grew up in a Boston suburb during the time of Orr, Esposito, Sanderson, Cashman, Cheevers, and the rest of the cast of characters that made up the Big Bad Bruins of the 1970’s. Dreaming that one day he too would be a professional hockey player, he realized however that he would have to learn to skate first. His father was able to get him out onto a frozen parking lot where he learned the basics. Thanks to the growing popularity of the Bruins and the sport of ice hockey, many MDC ice rinks were erected in Eastern Massachusetts during this time and fortunately for Chris, one was in his neighborhood. Taking every opportunity to use the facility enhanced his love for the sport. However, Chris was to learn that merely loving the sport was not enough to ensure the ability to play. Selecting and attending a high school based on the fact that they had a hockey team, Chris found that he spent way too much time watching the game from the bench and not playing. Difficult to accept and not wanting to give up on the dream, he worked even harder to improve his skills. With continued encouragement from his father and mentoring by coaches, he earned the playing time he desired and after graduating from high school, he had the opportunity to attend prep school to further improve his game and his academics. Through hard work and the continued support of his mentors Chris earned a scholarship to Northeastern University to play hockey. After two seasons with the Huskies, Chris was selected 231st out of 234 in the 1978 NHL Amateur Entry Draft by the Montreal Canadiens. He was immediately assigned to the Nova Scotia Voyageurs of the American Hockey League. In his first 49 games, he scored 15 goals, 10 assists and accumulated 304 penalty minutes while serving as the team’s protector. Enough penalties to get him noticed by the parent club earned him a call up to Montreal at the end of the 1979-1980 season for the final 15 games and ensuing 5 playoff games. While he quickly established himself around the league as the team’s enforcer, his coaches let it be known however that they wanted him to be a total hockey player, to round out his game and deliver more value than his role as an enforcer. Claude Ruel, who was his first coach had much to do with developing his hockey skills and others such as Guy Lafluer and Bob Gainey did as well. The additional work paid off as his high point was between 1983 and 1986, when he had seasons of 16, 21 and 19 goals. His 8 seasons in Montreal were highlighted with a Stanley Cup in 1986. Unfortunately his body began to fail long before his spirit and his final five seasons saw him traded from Montreal to the New York Rangers and then to the Boston Bruins where incidentally, he earned a selection to the All-Star Team before one final pass with the Canadiens at the end of the 1991-1992 season. After more than 30 surgeries both during and after his playing career, retiring from the game where he realized his dream at the relatively young age of 34 created a challenge even larger than making the NHL. The man who made a career of fighting for a living was soon in for the fight of his life. Feeling lost, with failing body parts, in continual pain, removed from a life he loved, Chris began a downward spiral into alcohol and chemical dependence. He lost his family, his contacts and nearly his life until he had the courage to reach out for help. Ok, he worked hard, achieved his dream, nearly killed himself; what makes him a leader? He hasn’t led troops into battle, he didn’t invent a computer in his garage, hasn’t been nominated for the Nobel Peace Prize, what gives? It is the back story. Not blessed with a great deal of talent he was able to achieve more than most of us could even dream about. Of the 234 players drafted into the NHL in 1978, we would be hard pressed to name even a handful that had a professional career let alone a 13 year career. He demonstrated to his parents’, coaches and others that the challenges continually placed in front of him were not insurmountable. There is something about Chris that impressed others, even when he made bad decisions. He learned, he persevered and overcame time and time again. Chris has a deep appreciation for what those mentors did for him in allowing him to prove to himself just what he could be. Now play it forward. Chris is on the radio in Montreal (TSN 690) where he has an afternoon sports call-in show. He also provides analysis between periods of the Canadien’s games. The true Chris, however, can be found in the Montreal schools coaching and mentoring young students on dealing with bullying, contributing his time with charitable work in the hospitals in Montreal and also in working with displaced families and battered women, assisting them in turning their lives around, as he learned to do for himself. He hasn’t always been able to successfully lead himself but he has been able to recognize and appreciate those who were there to help him and in doing so, lead others in need to overcome their challenges and succeed. Bon chance “Knuckles” and thank you for leading us to the true meaning of Leadership. Recent history has shown that CFMA companies in the Northeast have saved $15 - $20 million in taxes (over $110 million across all CFMA Companies) by taking advantage of available Research and Development (R&D) tax credits currently available through IRS programs. The telling statistic is that 19 out of 20 construction companies are unaware of the available credits and who are actually eligible for it and as a result, do not apply for it. 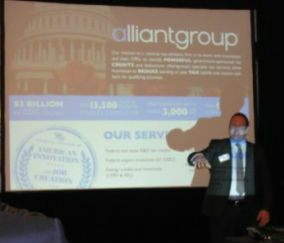 Brian Aumueller who is the Managing Director from the Boston office of alliantgroup enlightened the attendees at the April 8th meeting to the opportunities available to construction companies to take advantage of available federal, tax credits for Research and Development (R&D) activities. You don’t think that you do R&D type activities? How about Design/Build projects? Do you have anyone on payroll doing CADD or BIM type work? You could qualify! The current credit is wage based for the construction industry and if you are not tuned in, you could be losing some tax serious credits for your company! Congress also recently extended the 179D incentives for 2014/2015. Andy Gerstenhaber, Director of alliantgroup explained that this program allows up to a $1.80/sf deduction for government rented, and owned, commercial buildings for reductions in power and energy costs and that are placed into service any time from 2006 to 2013. The new legislation includes value engineering investments and non-profit organizations (institutes of higher education, hospitals, etc). A great deal of back and forth discussion followed the presentation hi-lighting the value of the Chapter Educational meetings. A copy of this presentation in addition to Case Studies is available for download in the CFMA of Massachusetts Document Library. 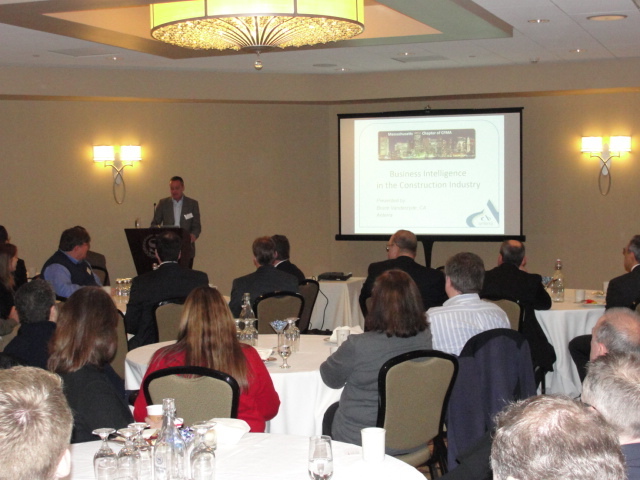 On March 11, 2014, CFMA of Massachusetts hosted the evening meeting with members of the Associated Subcontractors of Massachusetts at the Sheraton of Needham. Keynoting the event was Scott Humrickhouse, Managing Director of FMI, who presented on the topic of “Building Your Backlog Regardless of Market Conditions.” Key points that Scott highlighted the fact that your company is perfectly configured to get the results that you are currently getting. If you want to win more work, you will have to make a change. Change means changing how you and your organizational resources currently spend their time. How much time do you currently spend on business development? Review your current work activities to determine how much time is spent in this area. You should define criteria for choosing the “right” customers and define criteria for choosing the “right” jobs. You should be employing strategies for new customer development and developing strategies for existing customer development. Contractors generating the most high-value “touches” before the proposal / presentation phase win the project. You should try to creatively differentiate and obsess over knowing the customer’s key issues. Getting all of your people involved in sustaining your business development efforts and installing a customer focused attitude in your operations team. The presentation was preceded by a networking and buffet dinner with cocktails while discussing the premise of a new business landscape and how to motivate staff to win work and develop a cadre of happy and loyal customers. The February 11th educational breakfast dove into the topic of Executive Compensation and the fact that 45% of CFO's currently do not know of they will ever be able to retire. Much concern is expressed today about where are we to find the talented forces needed to ensure that we can perform profitably, as the economy improves. 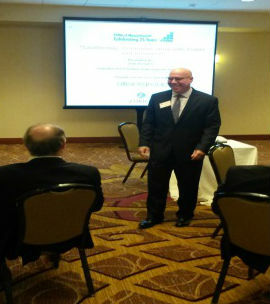 David Hauptman, ASA, of the Pinnacle Financial Group addressed the chapter about retaining and attracting construction executives in light of higher tax rates, historically low interest rates and longer life expectancies. David has over 20 years of executive benefit experience and is both passionate and well informed about educating his clients fully about nonqualified deferred compensation opportunities. In an attempt to continue to recruit the best and brightest executive talent to our companies we must realize the challenges present in today’s compensation marketplace. A robust compensation plan is no longer attractive enough. The current US retirement outlook is bleak, at best. In 2013 28% of the workforce was not confident that they would be able to retire and 21% was not too confident. While 57% reported that hey had less than $25,000 in retirement savings. Of course, we CFMs are better educated and more astute than the average worker yet, as mentioned in the beginning, only 45% of us are confident that we will be able to retire, at a level at least 85% of our current income. David presented a number of options available to us to secure our own future and to be able to recruit those that will follow. Non-Qualified Plans provide opportunities as well as challenges. Defined contribution, defined benefit, COLI and REBA all present opportunities to meet todays’ business leadership challenges with an eye towards developing transition plans as our businesses evolve. Most left the presentation with a glimmer of hope that as government programs fade, medicare and social security, opportunities do exist to grow our own retirement “nest egg”. Rather than being an oxymoron “Business Intelligence,” in the construction industry, is actually the key to allow Construction Finance Managers to lead proactively versus being purely reactive. At the January breakfast meeting Bruce Vanderzyde, the President of Anterra, a software company that offers cloud based business intelligence solutions to the construction industry, explained to those in attendance that Business Intelligence(BI) is actually a “catch all” term that can mean a broad spectrum of reporting and processes. BI assists in making our organizations more proactive through better information analysis. The methodology helps to prioritize our data gathering processes, establishing key performance indicators, based upon our data, and providing cross system reporting that is appropriate and meaningful to the end user. Overcoming the current challenges of data complexity, timeliness and quality testing, through currently available resources, the proactive CFM will be able to better determine where the company is making and losing money; plan marketing and professional development initiatives; and cash flow planning, to provide the necessary support for successful operations. Bringing the data to the forefront in a manner that can quickly and completely be digested significantly enhances the CFM’s role to the organization.